Rogers City senior Taylor Fleming vs. Oscoda junior Lauren Langley. 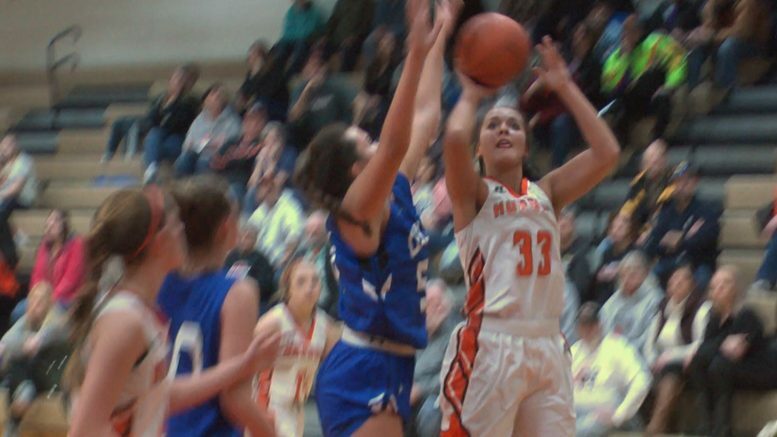 Rogers City, Mich. — Huron’s Taylor Fleming will go down in Rogers City history as one of the best multi-sport athletes, and her senior season of basketball did not disappoint. Fleming will join the MHSAA record book for most rebounds in a single game and single season. In one game as a senior, Fleming finished with 28 rebounds. Her season ended with 355 boards. Both of these records rank her among the top 25 in MHSAA basketball history. Here is the current list: https://www.mhsaa.com/sports/girls-basketball/record-book/individual-records.